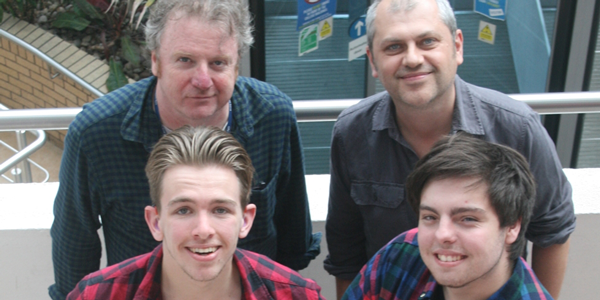 Four students from Hamilton Lodge, a school for deaf and hearing-impaired children in Brighton, have excelled on the UAL Awarding Body Level 2 Creative Media Production & Technology course since moving into mainstream education at City College Brighton and Hove. Oliver Chettle, Louie Sivyer, James Blake and Aaron Cuff all achieved Distinctions for their stand-out work including a modern-day recreation of the famous chase scene from ‘Brighton Rock’. Oliver, whose work was recently exhibited at UAL Awarding Body’s Origins 2016 exhibition, was also named as the college’s ‘Digital Arts City Achiever’. Course tutor Jim Lee added “The four students from Hamilton Lodge who studied on the Level 2 Creative Media course this year were a joy to work with. They’ve all shown an incredible thirst for learning and a creativity and flair in everything they’ve done. They’ve also made outstanding projects both during the year and for their final pieces and are all now in a great position to move forward to higher level courses”.